Luxury Villas Malta | Holiday Villas For Rent in Malta | Blog | Visiting Malta? Indulge in some Asian Cuisine! Visiting Malta? Indulge in some Asian Cuisine! The sunnier skies, warming temperatures and vibrant greenery can only mean one thing: Spring is here! This week we bring you six hiking trails to put on your Spring bucket list to head out and conquer with family and friends in tow. 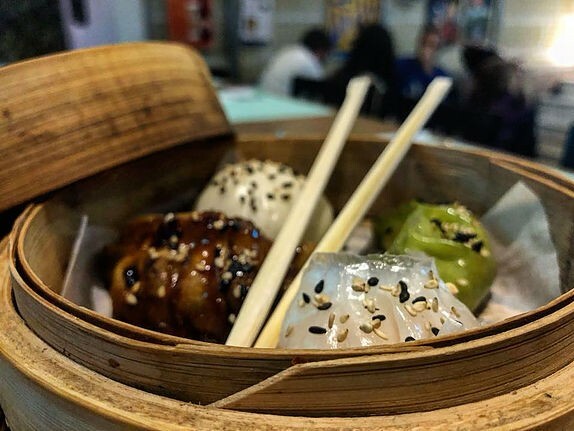 If you’re paying a visit to the Maltese Islands and find yourself craving some Asian food – we’ve got you covered! This week we bring you a list of Asian eateries, all with a 4.5-star rating on Trip Advisor, and located in Malta’s prime sightseeing locations. Whether it’s fresh sushi to complement the hot Mediterranean afternoons or a warm curry for the breezier evenings, we’ve got the lowdown on where to head to this summer. If you need any further reasons to stick around the Sliema front – we’ve found one. TemptAsian is an Asian fusion eatery located metres away from the scenic seafront. Head on over for evening cocktails and whatever food strikes your fancy. 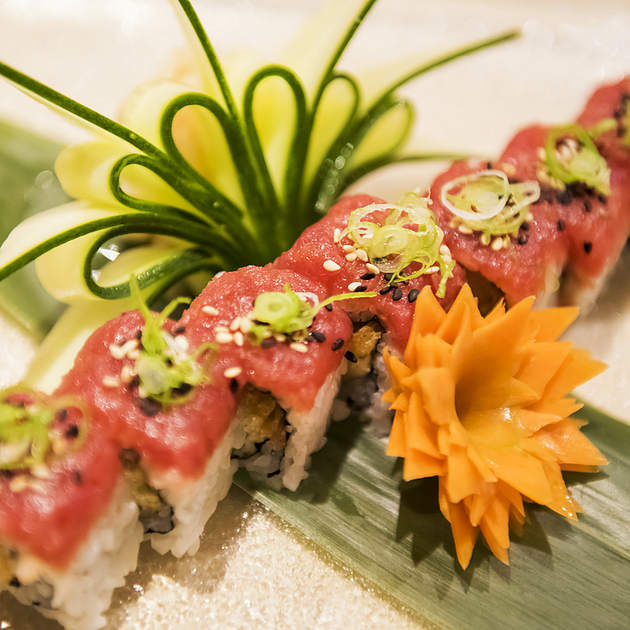 They offer a wide variety of main dishes – including sushi and other Asian classics. 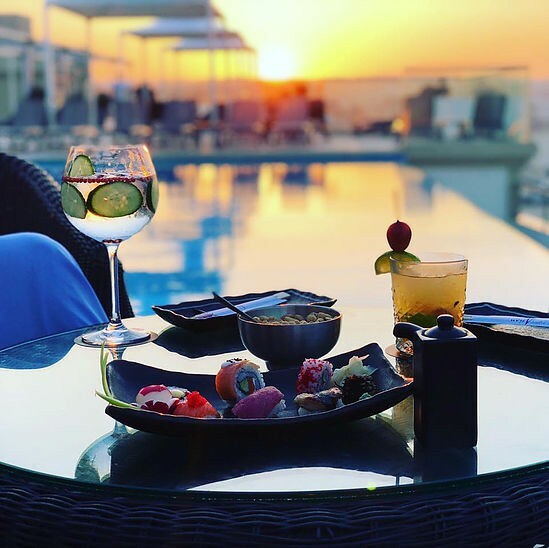 Asian food paired with cocktails and a sunset view? Yes, please! A loved classic among locals, KuYa offers a range of delicious Asian fusion dishes inspired by Chinese, Japanese and Vietnamese cuisines. It’s primly located in the very heart of St. Julian's (look out for the unassuming wood-panelled façade in Ross street). With a rotating menu to keep things fresh and highly reasonable prices to boot, a visit should be a priority on your next evening out to Malta’s nightlife hub. 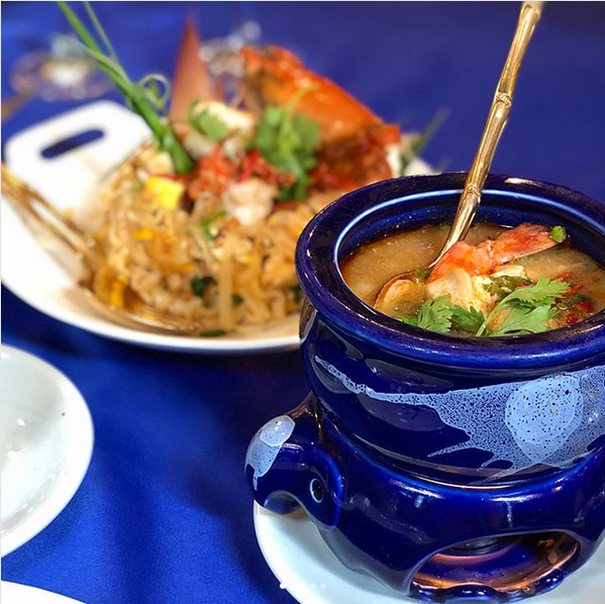 For a sophisticated take on Asian-Thai inspired food that incorporates great setting and décor alongside mouth-watering food and great service - Blue Elephant hits the mark and then some. 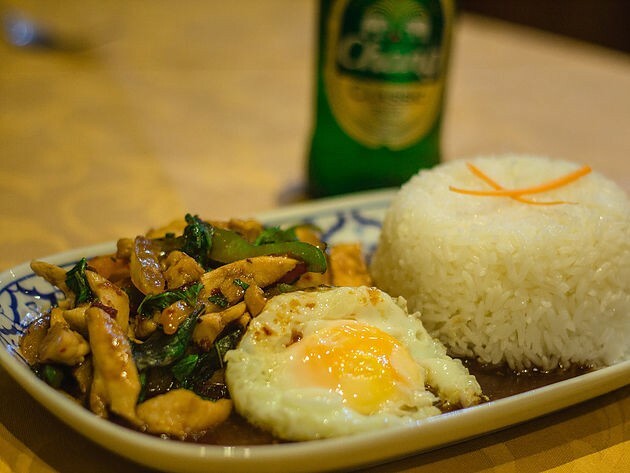 Also located in St Julian's at the prestigious Hilton Hotel, Blue Elephant specialises in Thai cuisine with a twist. With wonderful views of the marina, this location makes for a great business lunch, dinner or any special occasion. For a more relaxed, albeit still delicious take on Thai food, visit Benjawan’s located in another one of Malta’s summer hubs – Buġibba. 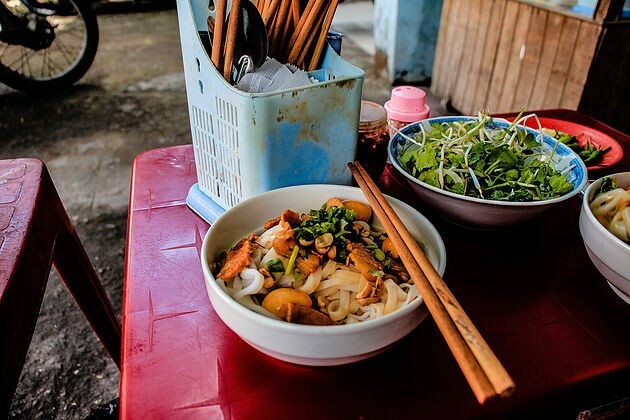 If a mix of salty, sweet, sour, and spicy elements in your food is your thing than Thai food is right up your alley with its combination of these four main seasonings and tastes. Also located in Buġibba, House of Spice lives up to its name by bringing classical Indian cuisine to Malta. 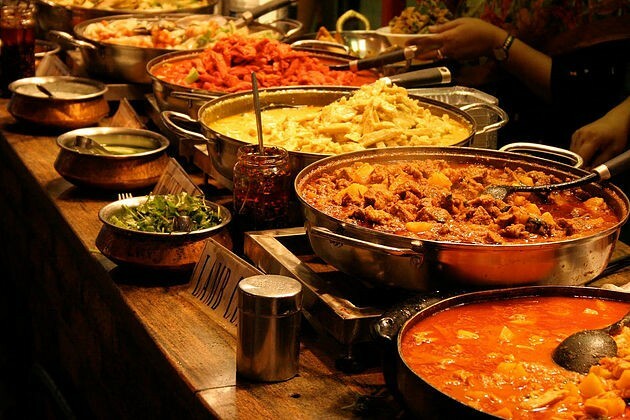 Think warm, rich and flavourful curries that make for a hearty meal after a day out exploring Malta’s northern towns. With dishes catering to every diet type, Indian is a great way to treat yourself to an Asian-inspired meal with family and friends. For some classic Japanese sushi and main dishes featuring a selection of specialities including miso soup, tempura, fish meat and vegetarian dishes cooked on a Teppanyaki table, Zen Bar fits the bill! Set out in a contemporary style this eatery aims to provide an all-round Japanese-inspired dining experience. 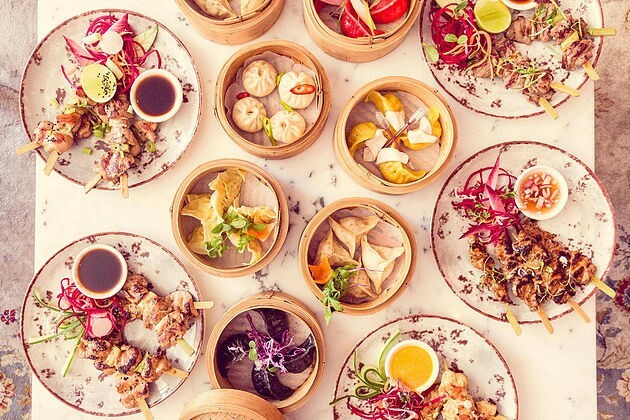 For an indoors Asian-Chinese food experience set in one of Malta’s more central and quiet towns, pay a visit to Rickshaw located in Malta’s Corinthia Palace Hotel. Close to the scenic Presidential San Anton Garden’s Rickshaw and exuding a calm atmosphere with a great service, this eatery makes for a perfect date night out. If you’d like to venture into trying out Asian food without the commitment of a full restaurant sit-down meal – food trucks make for an ideal visit. Fresh, homemade and often cooked by the enterprising owners themselves, food trucks are a great way to experiment and try out new flavours. The newly opened Banh Mi Truck in Malta offers Vietnamese staples at an affordable price. To find out where they’ll be set up for the week follow them on https://www.facebook.com/banhmimalta/. Do you have any worthy mentions that slipped our attention or experiences at these eateries that you’d like to share? Let us know in the comments below!